The Make It Happen Te Hiku Taskforce is a governance group appointed to support the ongoing development of social services in Te Hiku. It aims to better the lives of whānau living in the Far North. The Ministry of Social Development advises the government on social policy, and provides social services. The Ministry of Social Development, on behalf of the Make It Happen Te Hiku Taskforce, asked us to work with youth and youth workers to develop actionable ideas that encourage positive behaviour, and reduce the bullying of young people in Te Hiku. Te Hiku is a large area, in the very Far North of New Zealand. In the short video below, see young people, adults and community workers who were part of this project talk about how this project has impacted their lives, mindsets and work. We used the questioning, understanding, designing and refining phases of our innovative action model. We took a participatory approach to working with young people and youth workers. Participatory design is about capturing different perspectives, ideas, experiences and working together towards better solutions using creative techniques. Following the principles of positive youth development, we focused on young people’s strengths, enabled meaningful youth participation, supported positive social connections, and built capacity in the Far North youth sector. This process has been supported and informed by many individuals and organisations. We thank them warmly for their contribution to this work. collaborating with young people and youth workers to come up with many ideas that support young people to thrive in Te Hiku. selecting several of the most impactful ideas and working in partnership with young people to prototype and test them. selecting the most successful aspects of the prototypes and creating a plan for making several activities a reality. 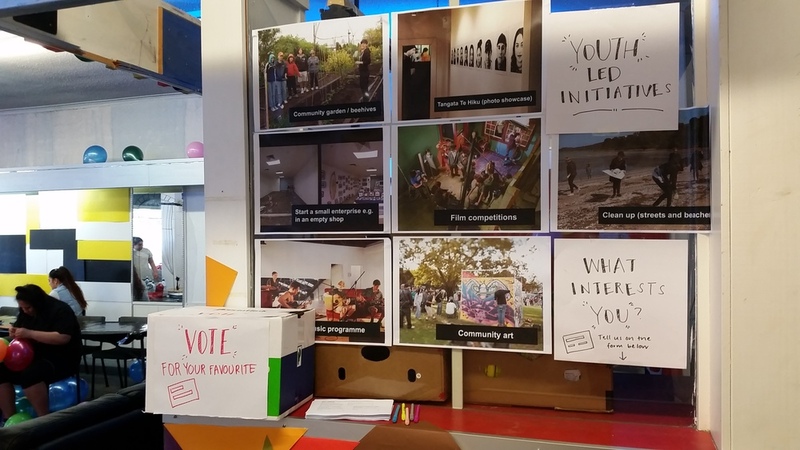 As part of the prototyping process, we worked intensively over a one-week period with young people, youth workers and the wider community to co-design, develop and run a pop-up youth space. See the space that young people created and their thoughts and feelings toward it in the Moana Creative video below. Insights on challenges young people in Kaitaia face. Detailed, actionable ideas to encourage positive behaviour. Through an enhanced understanding of what young people want and need in Te Hiku, we're supporting the community to back youth-led activities that promise to make a difference to the lives of young people. A range of pop-up spaces are currently being offered across the region. 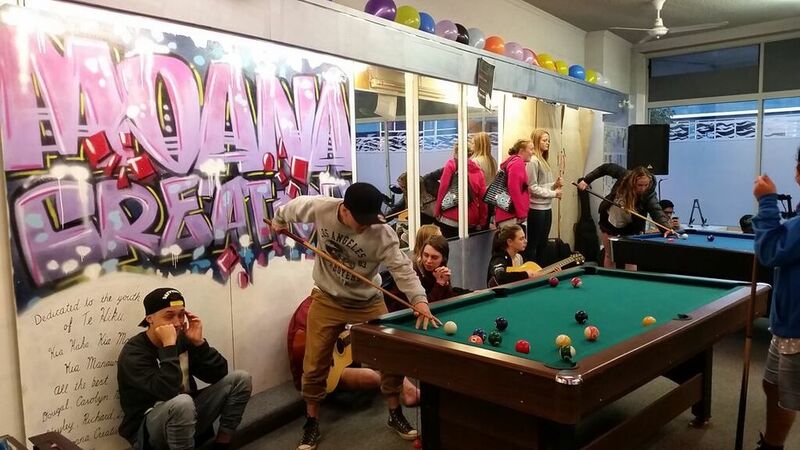 The participatory process we led strengthened social connections between young people in Kaitaia, built capacity in the youth sector, and celebrated young people’s strengths. As a result of participating in this project, many young people have increased their creative confidence and found meaningful work or education. In addition, adult’s perceptions of young people have changed for the better. "Youth were able to be heard through this approach and be part of the journey all the way through. I saw this as empowering and true co-design." "It's empowering, having young people have their say... they often feel like they don't. To be able to create the prototypes based on their visions was very cool." "You've helped to illuminate many of our assumptions, limitations and strengths, and kept our attention on what our youth say, think and feel."